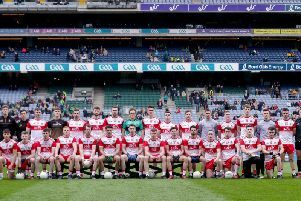 Derry Senior football management structure will remain unchanged for 2019 after nominations were officially ratified at a County Board meeting in Owenbeg on Tuesday night. As expected, Damian McErlain will be charged will reigniting the Oak Leaf county's fortunes with promotion from Division Four a top priority after last season's relegation. At under 20 level, Mickey Donnelly will seek to build on their superb Ulster Championship triumph earlier this year while Paddy Campbell will hope to go one step further with the Under 17s who made the provincial final this season after a brilliant run to the final. Kevin Kelly will take charge of the the minor hurlers but the senior manager's position, vacated last week by Collie McGurk, remains open though clubs have been asked for nominations with the selection process expected to start in earnest shortly.